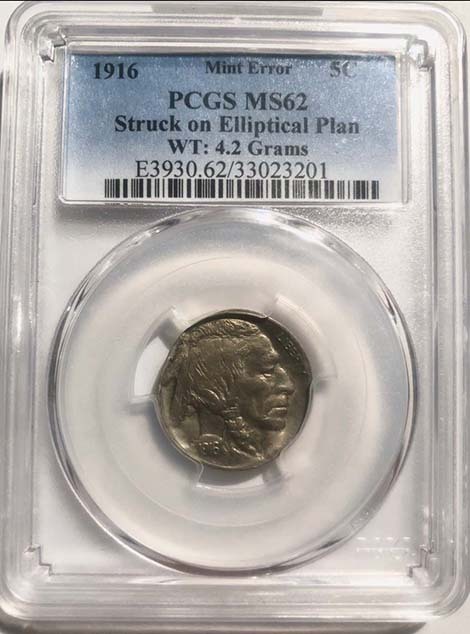 This is an extremely rare Buffalo Nickel struck on an elliptical planchet. There are only 2 known for the entire series from 1916 to 1938. Both were in my Mint Error Collection for 40 years. I sold the other one in a MS 63 holder for $11,500 a decade ago. 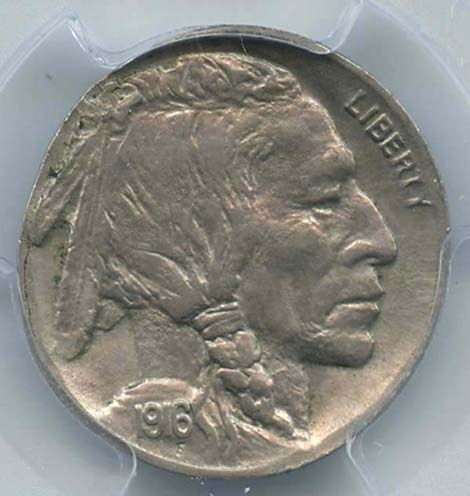 This mint error was authenticated and certified by PCGS as Mint State 62. 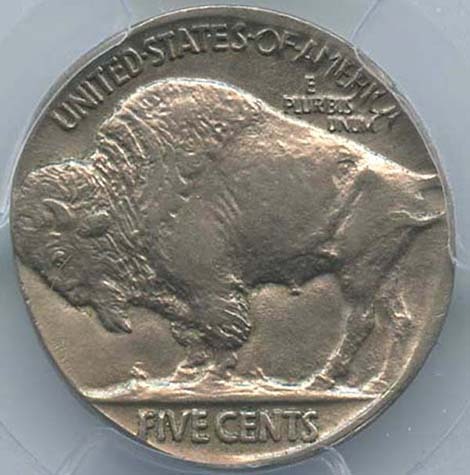 U.S. type coins struck on elliptical planchets are extremely rare. Copyright Ⓒ 2018 minterrornews.com. All rights reserved. Legal notice.